This is me, my brother, stepmom and sister. 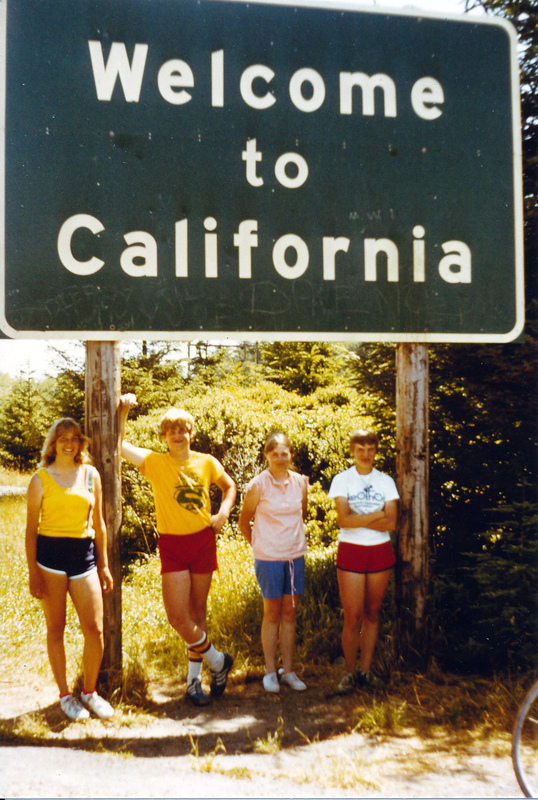 We had just reached the California border on our bicycle trip from Seattle to San Francisco. I was fourteen years old the summer of 1979. We followed Highway 101 down the coast of Oregon and that was when I fell in deep, irreversible love with the ocean. My goodness, but Zach looks a lot like his uncle! While I never saw this photo before, I love it! And I am still amazed that you all did that. It took a lot of planning – I’m only able to organize a trip out to the car to go get gas – or to take garbage out to the bins provided for garbage. You did a good thing – sticking together and making memories.